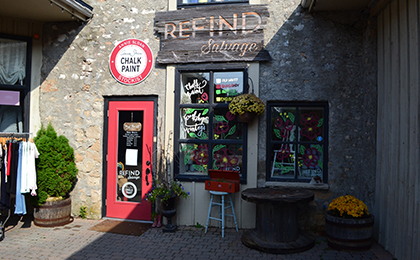 In amongst the shops of the Elora Mews, reFIND Salvage sells restored, repurposed and restyled used and vintage home décor. From rustic bohemian to vintage industrial, reFIND’s style is unique and eclectic. They offer a selection of Annie Sloan Chalk Paint, tools and accessories.